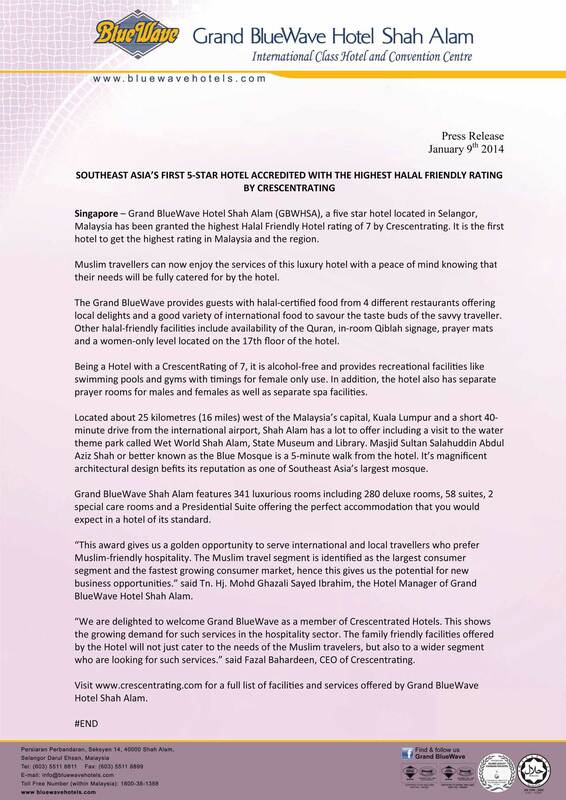 Grand BlueWave Hotel Shah Alam is a fully integrated hotel and convention centre offering versatile meeting and banquet facilities, state-of-art communication technology and presentation aids, the star of the hotel is the Dewan Perdana Theatre with a seating capacity of 1500 delegates. Other meeting rooms include the Rebana Hall and Gasing Meeting Rooms. Also available is The Theme Room decorated with sports memorabilia which is great venue for thematic functions or team-building session. Professional convention and banquet handlers are also on hand to ensure every detail is attended to.